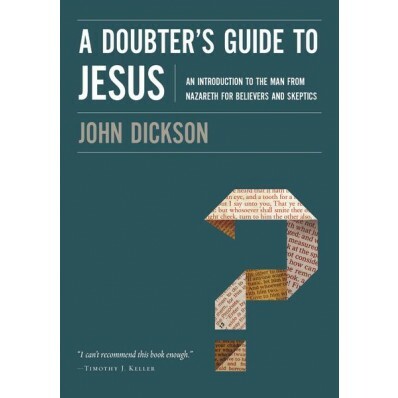 by John Dickson, adapted from his new book A Doubter’s Guide to Jesus: An Introduction to the Man from Nazareth for Believers and Skeptics. I once chatted to a highly intelligent woman who asked me about the sources of our knowledge of Jesus. I took her through the Graeco-Roman and Jewish sources. She was happy enough with those. I then began to list the Christian sources. She stopped me and said, “But surely you can’t use those. They were all written by religious believers.” She somehow got it into her head that religious devotion disqualified religious texts from being considered historical data as well. Professional scholars approach the New Testament as they would any other first-century text. They do not treat it as the Word of God, as the Christian church does, but they do accord it the status of a valuable historical text. In fact, it is no exaggeration to say that historians (no matter what their persuasion) universally regard the New Testament writings as the earliest, most plentiful, and most important sources of information about the Jesus of history. The second thing to say is that the New Testament is not a single source at all. It is a collection of sources. In the discipline known as “theology” (the study of God’s nature and activity), the Bible is very appropriately treated as one unified source—all ultimately coming from God. Passages from one biblical writer are placed seamlessly next to passages from another in order to build up a coherent picture of the divine character and intentions. Sermons in church normally use Scripture in the same way. It is quite different in historical research. Historians analyze the New Testament as a compilation of independent traditions with common convictions about Jesus of Nazareth. Christians (especially) need to remember that, although the New Testament appears within a single volume today, originally these documents were composed and circulated independently of each other. They were not brought together into a “book” until the second, third, and fourth centuries. 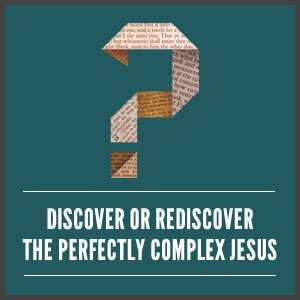 To the general public, the fact that several parts of the New Testament [e.g., the four gospels] say the same thing about Jesus does not seem all that significant. This is because most of us, if we ponder these things at all, are used to thinking about the New Testament as a single document. Historians view it differently. A basic principle of historical study–the criterion of multiple attestation, as it is known, affirms that when numerous ancient sources independently offer roughly the same information about an event or person, that information may be regarded as more plausible. It is the same logic you would apply to some surprising news from friends. If similar news came from two or three different friends, and you were confident they had not colluded, you would be far more likely to take them at their word. While forty to fifty years ago it was common to treat the Gospels as religiously valuable but historically questionable, today a consensus of secular scholarship affirms the Gospels as important historical writings. Specialists now believe the Gospels provide a clear and invaluable window into a genuine first-century life. The rest of my book A Doubter’s Guide to Jesus will hopefully bear out that important conclusion. A highly accessible introduction to what Christians believe about the man from Nazareth, this book will help readers and small groups rediscover the perfectly complex Jesus—a figure whom we cannot fit into a single box. The book is accessible and appropriately challenging to both believers and skeptics.